Barça's second day back at work is over after Ernesto Valverde's team completed a double session on Thursday on the Tito Vilanova pitch at the Ciutat Esportiva. Five members of the Barça B squad were also involved in the workout, namely Palencia, Aleñá, Cucurella, Marlon and Vitinho. This was the first of two appearances at the Ciutat Esportiva today, with the players due back out on the field at 6.30pm CET. Work started at 9.30am CET and the first fifteen minutes of the session were open to the media. After a break, the squad reconvened for their third training session of the preseason at 6.30pm CET. 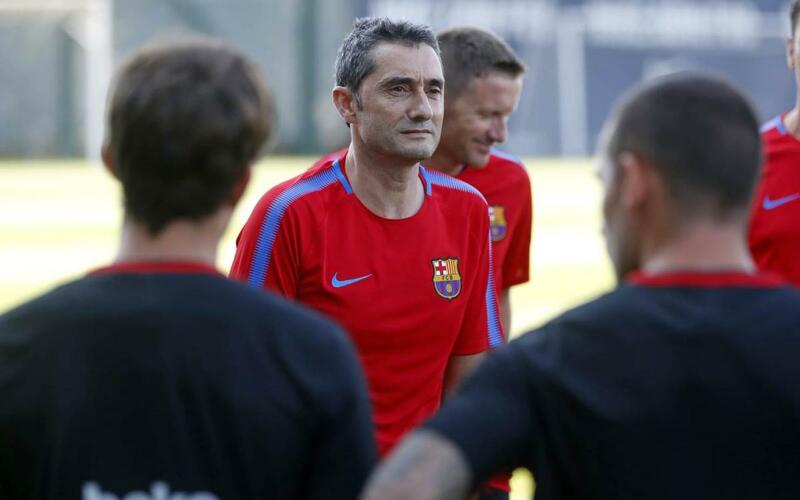 Ernesto Valverde was active throughout giving instructions to his players. On Friday, the international players arrive and they will have their medicals at 9.30am CET and, in the afternoon, the blaugranas will once again have another training session at 6.30pm CET.